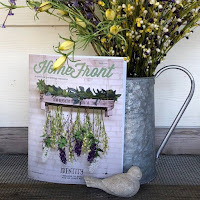 Grandmas with Heart: How Do We Hand Down a Heritage of Faith? We Must Be People of the Word! How Do We Hand Down a Heritage of Faith? We Must Be People of the Word! 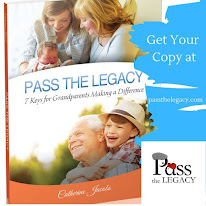 As I have been saying, "If we have grandchildren, we still have a very important job. We are a big part of what Deuteronomy 6 is talking about. 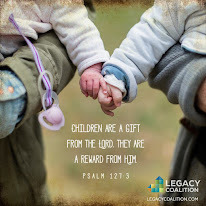 We are part of God's plan to hand down a heritage of faith to our grandchildren." Happily, Deuteronomy 6 tells us how we are able to do exactly this. It begins with . . .
Keeping God's words, "on our heart". We have to know God's words to hand them down. This means we have to spend time in God's Word - we have to be people of the Word. 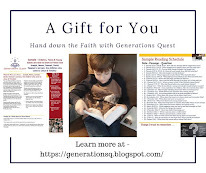 How will we hand down a heritage of faith to our grandchildren if we are not truly people of faith? 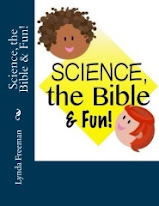 Our grandchildren will see if our faith is not real; and will want nothing to do with it. But, if we are people who spend time in God's Word and truly live it, then we will be people who are able to do as Deuteronomy 6 says and we will keep God's words, "on our heart". 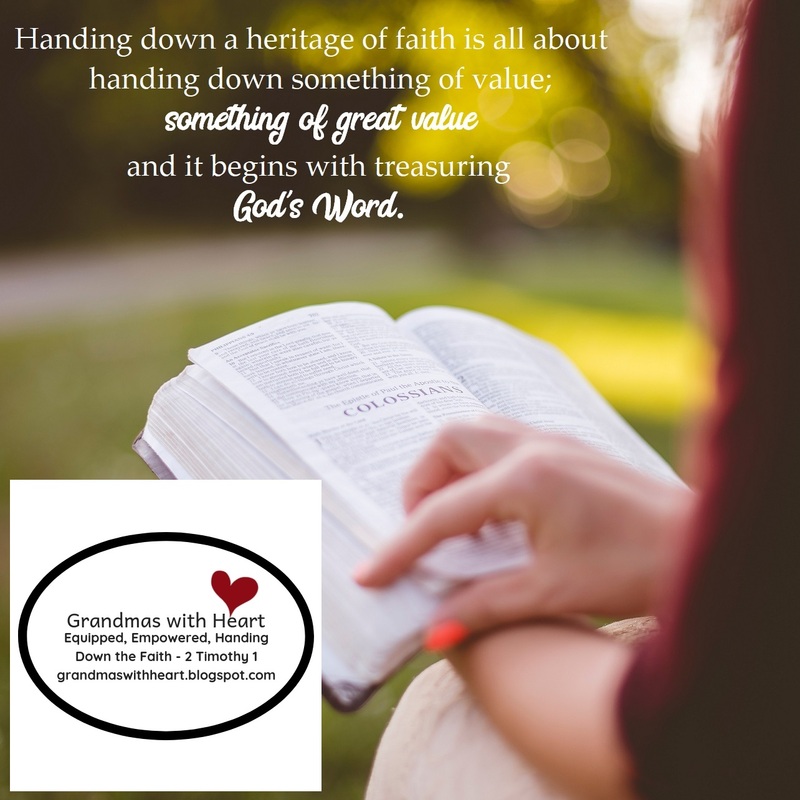 Handing down a heritage of faith is all about handing down something of value; something of great value and it begins with treasuring God's Word. 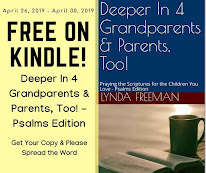 If we want our grandchildren to be people who love, know and walk with God, we have to love God's Word; keep it, "on our heart" and hand this love on to our grandchildren, so they love it and keep it, "on their heart", too! A few simple ways you are able to do this include . 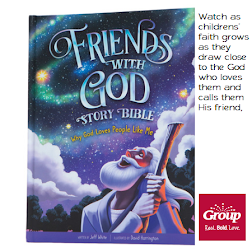 . .
Share with your grandchildren the things you discover as you spend time in God's Word. 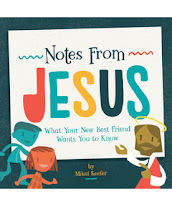 Get into the habit of writing Scripture which stands out to you onto sticky notes, then give them to your grandchildren, so they are able to put them where they will see and remember them. 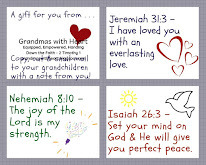 There are many more, but these are just a few ways you are able to keep God's words, "on your heart" and teach your grandchildren to do the same. When you do this, you will be handing down a heritage of faith! 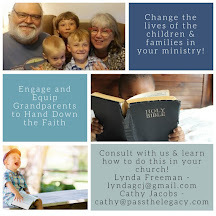 What are you doing to hand down a heritage of faith to your grandchildren? How are you showing them you are a person of the Word who keeps God's words, "on your heart"?